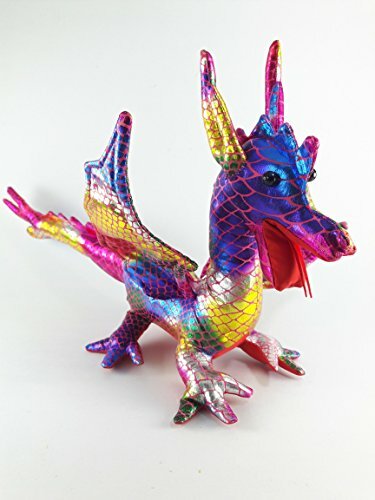 The Dragon cloth doll is made from 100% polyester and sand filled inside the doll body. But it is light weight. The platform shape is perfect size for decorated on your design area. The textile is more colorful shinning brightly and is soft smooth when you touching. Doll Dragon stuffed cloth is Handmade. A perfect size for decorate in your desk, tablework or for gift, suvenir. Size body long between head to tail is 14.5" and wing to wing long 12" (approximate) Weight 6.12 oz. If you have any questions about this product by kornkorn87, contact us by completing and submitting the form below. If you are looking for a specif part number, please include it with your message.